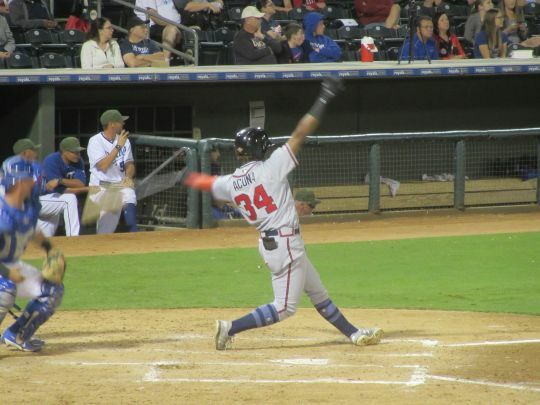 I offer a brief writeup for the final game of my three-game Arizona Fall League visit, which the host Surprise Saguaros lost to the Peoria Javelinas 11-10 in disappointing fashion Saturday night. The headline from the game of course would be Lamont Wade's concussion injury from a collision in right-center field. I posted a few photos in reply to that thread, found here. 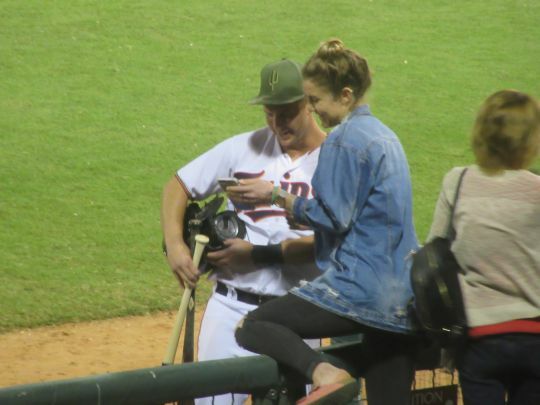 He was injured in the top of the second inning, before having a turn at bat. One thing about Acuna: he doesn't cheat himself when he swings. Chris Paul had a nice game. He went 2-for-4 including a triple, scoring both times and driving in 4. He was part of the big 7-run fourth inning, in which he was driven in by Nicky Lopez's grand slam. 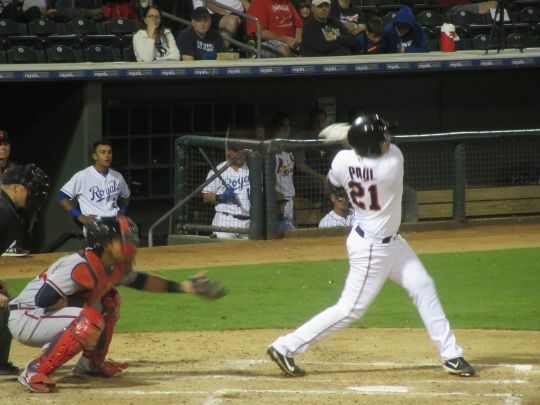 The Twins' other batter on the roster, Sean Miller, did not appear in this game. Given the 20-man pitching staff, it was questionable whether we would see any Twins pitchers, either, given that they all had pitched on Thursday. But Andrew Vasquez did come in, in the eighth, and unfortunately the results were not good. You'd think the big inning for Surprise would have put away the game, but no, pitchers for both teams were giving up rockets all over the place, and the bases were loaded with only a two-run lead by that point. Vasquez earned himself a Blown Save by surrendering a walk and then a hit batsman before getting that third out on strikes. The lefty was brought in to face a lefty - a classic LOOGY situation - so had he done his job the lead would have been protected. Very disappointing that he wouldn't throw strikes. A rude fan was heard saying "you had one job. ONE JOB!" Wait, that fan was me. Peoria pushed across another run in the top of the ninth, and Surprise went quietly with three strikeouts to end the game. A downer of an outcome. I still found the short vacation very satisfying - beautiful weather, and it's baseball! I close with a post-game photo of Chris Paul visiting with (apparently) a relative or family friend. Another rude fan laughed at the "you had ONE JOB" comment. Unfortunately, while it's certainly the smallest of small sample sizes, I left Phoenix after the weekend thoroughly unimpressed with the Twins AFL contingent. None of them looked ready to contribute to the Twins any time soon, to me.